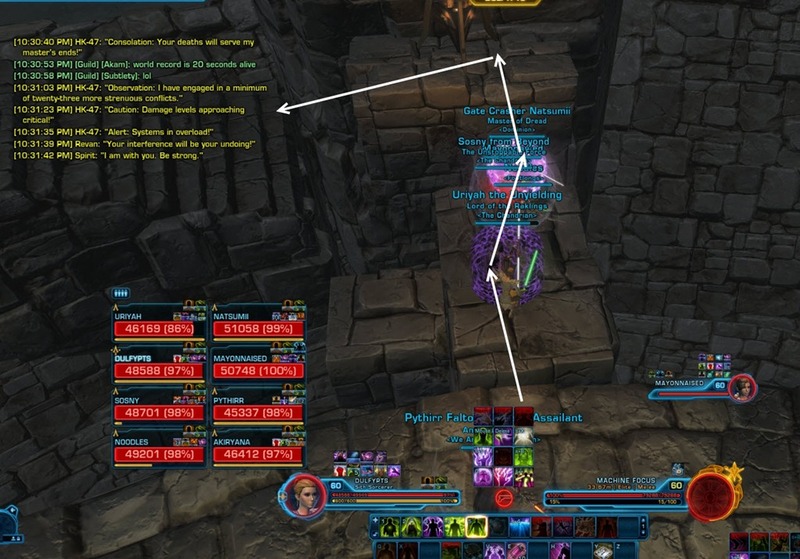 SWTOR Revan Temple of Sacrifice Operation Guide. Currently only storymode guide is available. Hardmode guide will be added at a later date. 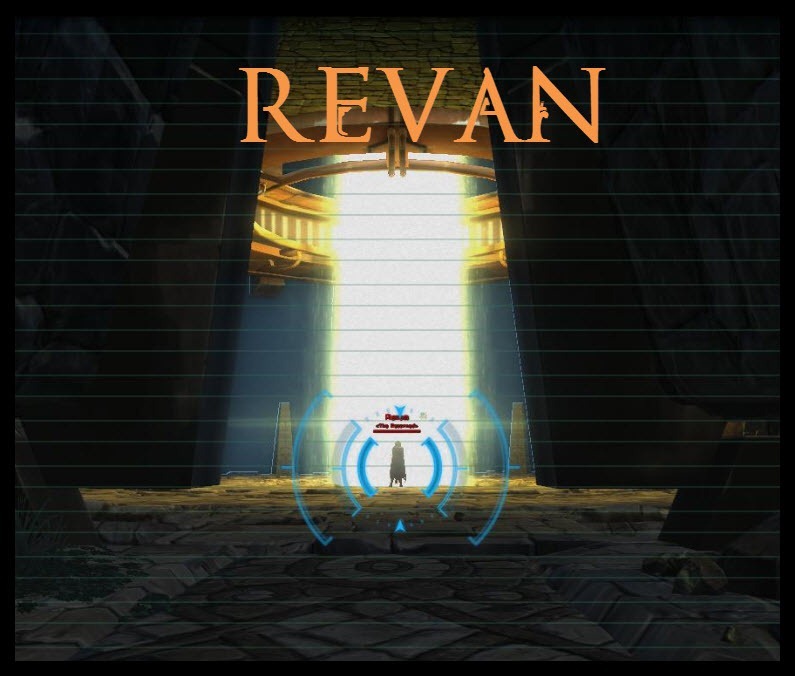 Revan is the last boss of this operation and have a number of phases with three floors to fight on. In phase 1, you need to deal with Revan’s two swords which can be knocked off the edge. You also need to avoid his Impale attack with a long knock back. At 1:30 into the fight, Revan will disappear marking the end of phase 1. HK will show up with a nasty frontal and raidwide grenades that forces your raid to spread out. He also have a shield that force you go stand inside to damage him. In phase 3, you climb up the stairs to destroy the Machine Focus to make Revan appear again. You will need to avoid the Force Abberations in this phase. 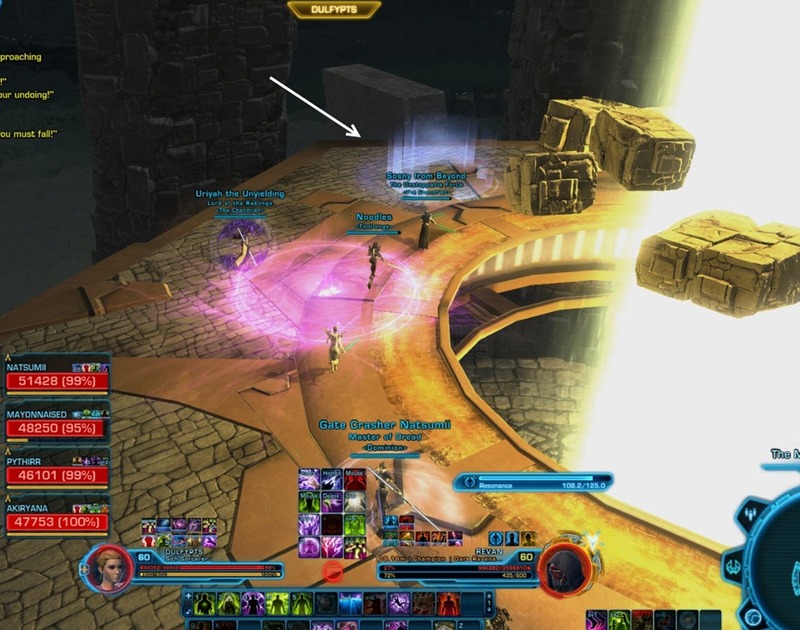 Once Revan disappears again, take the portal to go up to the third floor to trigger phase 4. 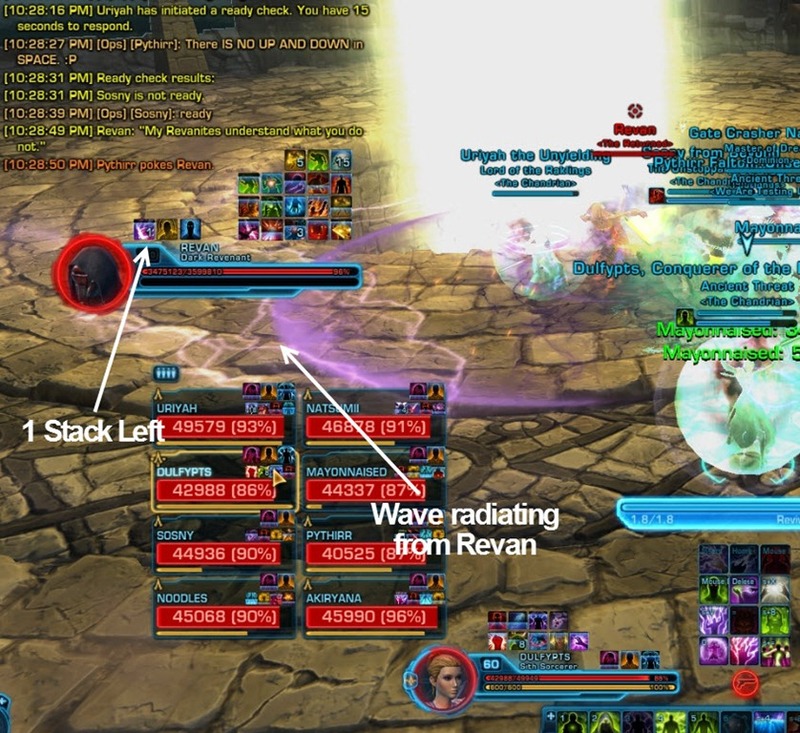 Attack Revan until he stops channeling Resonance and then bring him down to 10%. Both swords from phase 1 and abberations from phase 3 will show up in this phase for you to avoid. Revan disappears at 9% HP and you need to destroy the Machine Core in the middle for the final phase. Phase 1 (0-1:30): You will fight Revan in the lower floor, there are AoE damages from his Heave attack and cleave attacks such as Impale and Saber Overcharge to avoid (Impale has a huge knockback). There will also be two swords chasing players around that can be knocked off. Phase 2 (HK-47): Avoid HK’s Pseudorandom Violence frontal attack and move away from each other when you get Handful of Grenades. 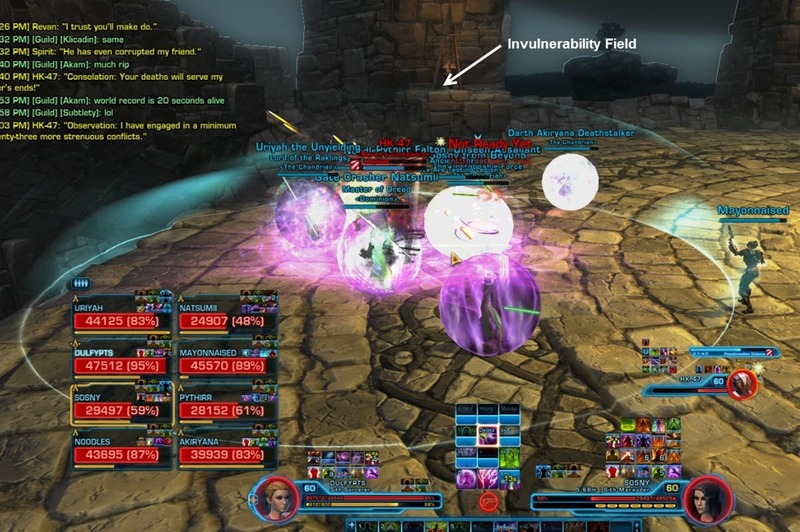 When you see HK deploy Invulnerability Field, get inside his shield to damage him. Phase 3: Climb up the stairs after defeating HK. Destroy the four Machine Focus pillars around the room to make Revan appear again. Avoid the Force Aberrations around the platform. Revan will despawn after 1:20 of fighting. Phase 4: Take the portal up to the 3rd floor. Revan will channel a 125s Resonance. He will absorb all damage while channeling this but beat him up until he break the channel. In this phase you will get both Swords and Force Aberrations to chase players around. Bring Revan down to 9% and he will disappear to trigger the next phase. Heave Raid wide AoE. Casted every 30s and deals moderate raidwide damage. Impale Telegraphed narrow attack. Anyone caught in the telegraph will be knocked back a decent distance (could be knocked off the platform). 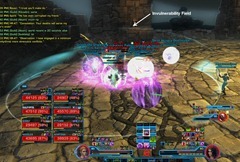 Saber Overcharge This shows up on combat log as Overcharged Dual Saber Attack. It is a massive conal from Revan. 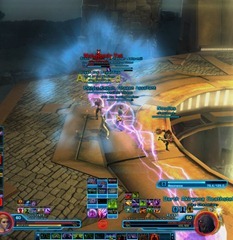 Revan should be turned away to avoid cleaving the raid. 15s CD. Sword of Alek and Revan These two swords will chase two random players in the raid. They are not meant to be killed and can be knocked off the edge. HK-47 HK will appear 1:30 into the fight after Revan disappears. He has a nasty conal attack and a raidwide AoE called Handful of Grenades you need to spread out. 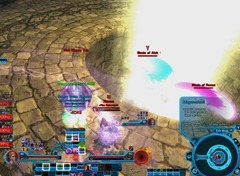 Past 50% he also gain Invulnerability Field that force you to stack inside the shield to attack him. This is a moderate raidwide damage (~12k) ability with a 2s cast time and a 30s cooldown. Revan tend to cast this immediately when you engage him. Saber Overcharge is a bit like Overload from inquisitor. It is a 180 degree conal with a long range. This ability has a 15s cooldown. You will see Revan casting Saber Overcharge which has a 1.0s cast time. 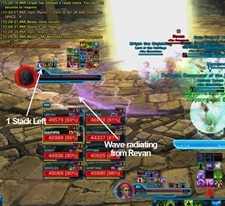 Right after he will gain two stacks of Saber Overcharge buff and perform two consecutive cleaves with this attack.Tanks should face Revan avoid from the raid to avoid cleaving them with this. Long Range cleave with a clear telegraph on a 20s cooldown. This attack also have a knock back component that push you quite far away. You can get knocked off the edge with this so make sure you don’t position yourself near an edge. Impale has a 4.0s cast but the telegraph will follow you around so you have to sidestep at the last second to avoid it. When you see Revan casts Force Wield, he will summon his two swords Blade of Alek and Blade of Revan. These two spinning swords will follow two raid members around (their names will be announced in red text) and damage anyone that gets close. Fortunately in storymode you can knock these blades off the edge and don’t have to worry about them. You will see these blades in Phase 1 and Phase 4. HK-47 will show up at end of Phase 1, which is 1:30 into the fight. Revan will disappear shortly before that. HK-47 also have a nasty telegraphed frontal called Pseudorandom Violence so tanks will need to face him away from the raid. This ability has a 14s cooldown so it is casted often. Hk-47’s primary attack on the tanks is an ability called Shiv. However, there is a potential tank swap mechanic here as well since HK applies a stacking debuff called Perforated Vitals. 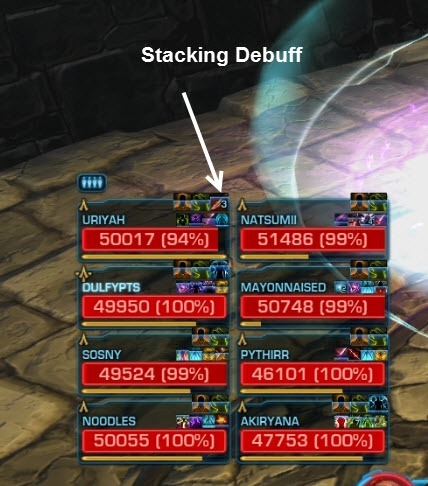 This stacking debuff lasts for 5s and is applied every 4s. 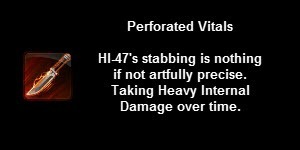 This debuff will make the Shiv: Perforated Vitals DoT on the tanks tick much harder. 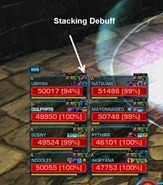 We did not notice a significant damage increase on storymode since the stacks were kept low due to our raid group’s high DPS. You might need to do a tank swap if this becomes an issue. HK have a raidwide damage ability called Handful of Grenades on a 20s cooldown. This is basically a mechanic where you need to spread out to avoid damaging each other with your own explosions. The grenade debuff have a 6s timer so you have 6s to get away from each other.The explosion from the grenade also have a knockdown effect. Lastly, at around 75% HP HK-47 will deploy his Invulnerability Field that prevents all damage from outside. You will need to stand inside the shield to damage him. This force you to run away from each other for the Handful of Grenades. After you have killed HK-47 and have moved on to the second floor via the stairs, you will discover 4 pillars called Machine Focus that are resonating with damage. This AoE they are doing is called Essence Shear and the damage they do increases the longer they remain up (from 300 tick per second to 4k tick per second). 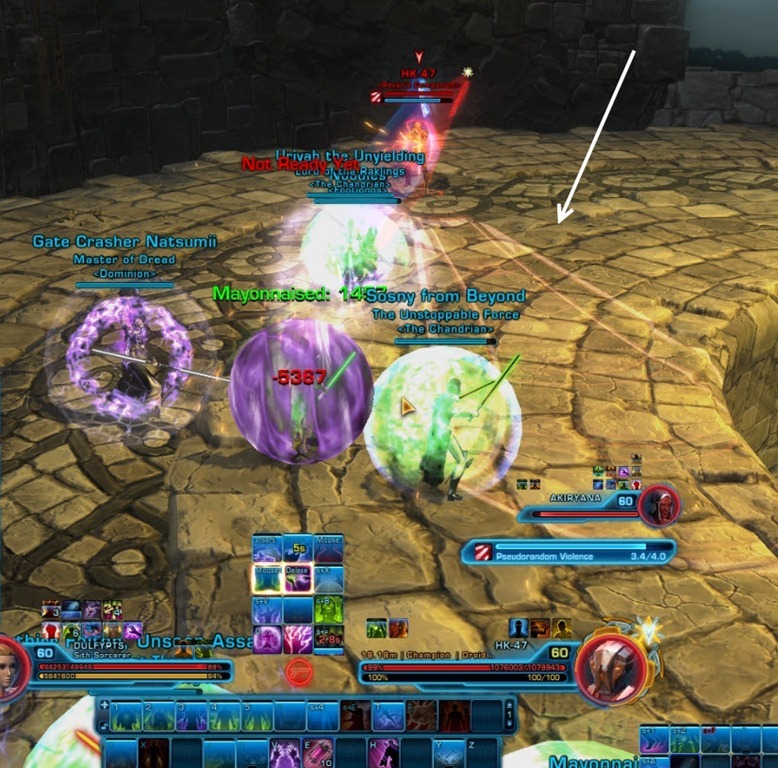 You need to kill all 4 of them for Revan to show up for phase 3.They have 80k HP each for a total of 320k HP. In phase 3, Revan will summon 3 Force Aberrations that will roam the platform. These Aberrations are purple circles that occupy almost the entire width of the platform, leaving a very small space to get past them. You will need to avoid them in those phases. The cooldown on Force Aberration is 73 seconds so these last quite a while. In phase 4 Revan will also summon these but they are called Unstable Aberration instead. The cooldown on this ability is only 32 seconds so they do not last as long and you may see them summoned twice. 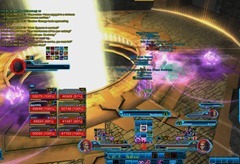 After you took the portal at end of phase 3, you will get ported to the third floor where Revan will channel a 120s long ability called Resonance. This ability will absorb a certain amount of damage before breaking but will also deal around 4.4k AoE damage every 6 seconds. You need to keep attack Revan until he stops the channel. 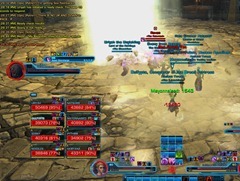 Revan will vanish for the last time at 9% HP, leaving you to deal with a Machine Core with 1.62 mil HP. 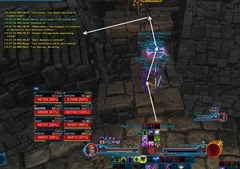 The Machine Core will apply a debuff called Essence Shear, reducing your maximum HP by 1% per stack. In addition, it has another buff called Charged Barrier that causes any attacks made from a range of greater than 5m to be reflected. Any attempts to leap to it will also cause you to get knocked back. Your goal here is to kill the Machine Core before the number of Essence Shear stacks reach close to 100. The constant Consuming Essence AoE from the Machine Core hits for very little but it will be impossible to heal through as your maximum HP drops closer to zero. Blade of Alek & Blade of Revan. 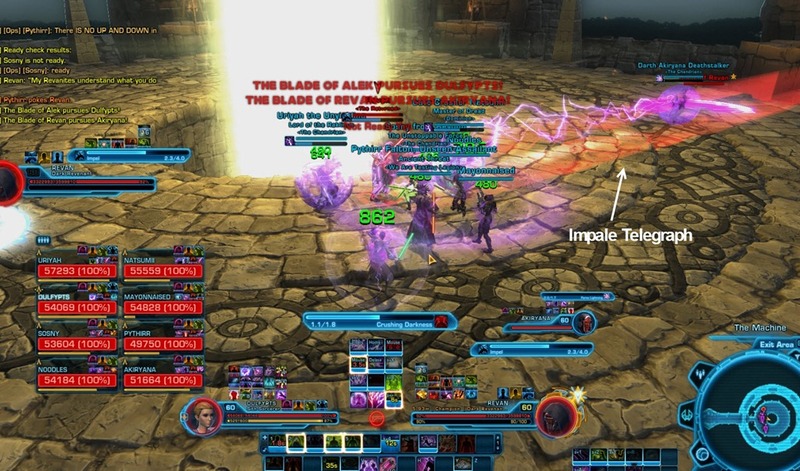 Both Impale and Saber Overcharge are frontal attacks so tanks need to face Revan away from the raid and take care to not place their backs next to an edge. The Blades can be knocked off the edge and since the cooldown of Force Wielder ability that summons the blades is 60s, you will see them twice in this phase. Face HK-47 away from the raid so his Pseudorandom Violence attacks do not clip any raid members. If you find it necesssary, tank swap to lower stacks of the Perforated Vitals debuff. Whenever Handful of Grenades is deployed, spread out to minimize the splash damage. When HK-47 deploys his Invulnerabilty Field, you will need to stack inside the shield to damage him. To get to phase 3, you must climb the stairs that forms when HK-47 is defeated. The safe route is marked with arrows and does not require much jumping. Damage Revan as normal and stay away from the Force Aberrations when they are summoned. This phase should last for 1:20. To get to the 3rd floor for Phase 4, you need to take the portal that appears after phase 3. Like in phase 1, you can knock the Blades off the edge. 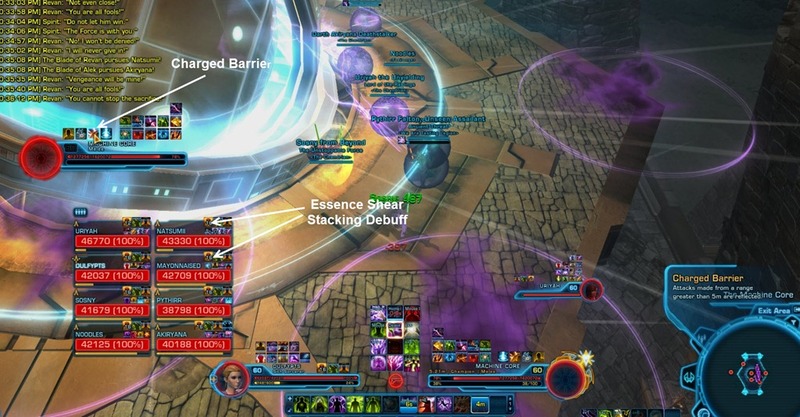 Unstable Aberrations are much shorter in duration than the Force Aberrations you faced in Phase 3. Revan will disappear once you bring him down to 9%. Destroy the Machine Core. 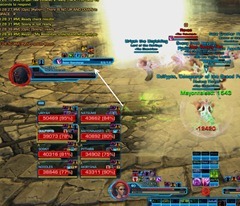 This is a DPS race to kill it before Essence Shear stacks get close to 100. While you won’t see Revan, he will continue to cast Heave and Unstable Abbrations on the side. HK-47 also appeared in SWG. Which means it is alive and kicking 3,000 years later. Except SWG could hardly be considered canon, especially when they started pulling out random shenanigans like that. SWG was considered canon, at least for the most part. HK was in some comics too, I’m pretty sure. He literally had an entire journey through the years to get to Mustafar for SWG. That’s a droid. Why can’t they just repair it ? 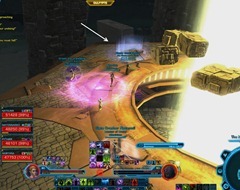 Once you finish most of the story on Yavin you can choose to either kill Revan in the solomode or do it in the operation, that is the only one time quest avalible. I finally got through Ravagers last night and went to start TOS but I couldn’t see a 1st time quest anywhere? I was lead to believe that this was automatic for TOS, ie you didn’t need to pick it up from a mission counter? Or do you need to beat the walker on Yavin first before you get this mission?. Has the loot for 16 man been fixed and if so would it drop 2 mainhands? So are the ToS and Ravagers operations new storylines? I’m confused as to if they somehow a continuation of the fight with Revan (alternative take comparatively to the solo mode) or are just weekly operations you pick up from a terminal? I always like to understand the full story instead of just jumping into ops out of order, do I need to trigger cut-scenes somewhere first before jumping into these? Thanks. Well, the idea is you either rally the coalition forces and defeat Revan (the solo weekly) or you grab an elite team of specialists and defeat Revan (operation). The Ravagers is pretty much a little side story. Ok, so I get ToS then. The Ravagers has no connection to a questline and is just isolated out on its own then? Seems a bit lazy in my opinion, or just odd to throw it in as a side component. Although I’m sure there are others who would disagree with me. Thanks for the clarification. Well, the Ravagers story kinda fits into the whole Rishi theme. It’s also a bit easier than ToS, which allows you to get some 192 set bonus gear. 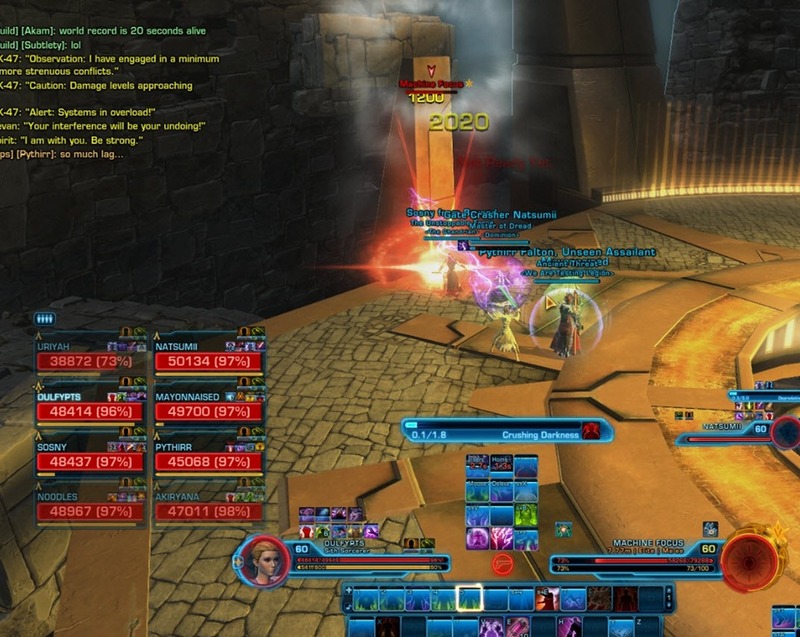 If anyone is having problems with Revan not taking any damage at the last phase on 16m – had the same problem yesterday but he started taking damage 1-2 minutes after he finished his resonance. 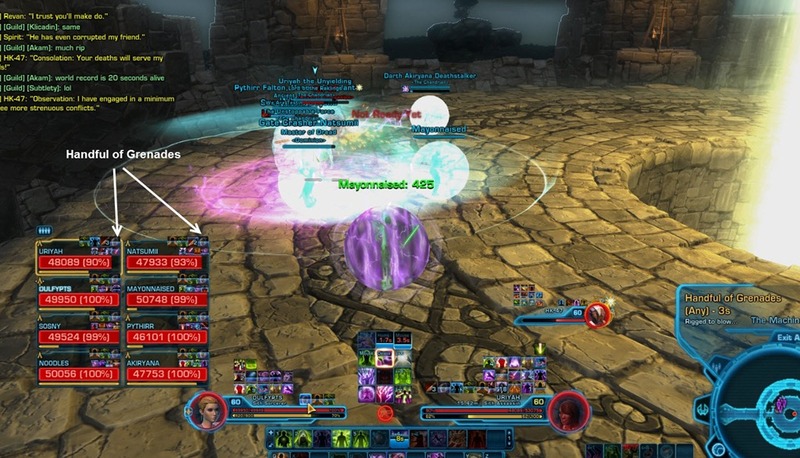 Don’t know if it’s because the shield absorbs monumental amount of damage or it just goes away after a while, but we downed him and there was no enrage. P.S. At the end of his resonance channel there’s a knockback so make sure you got some space behind your back.